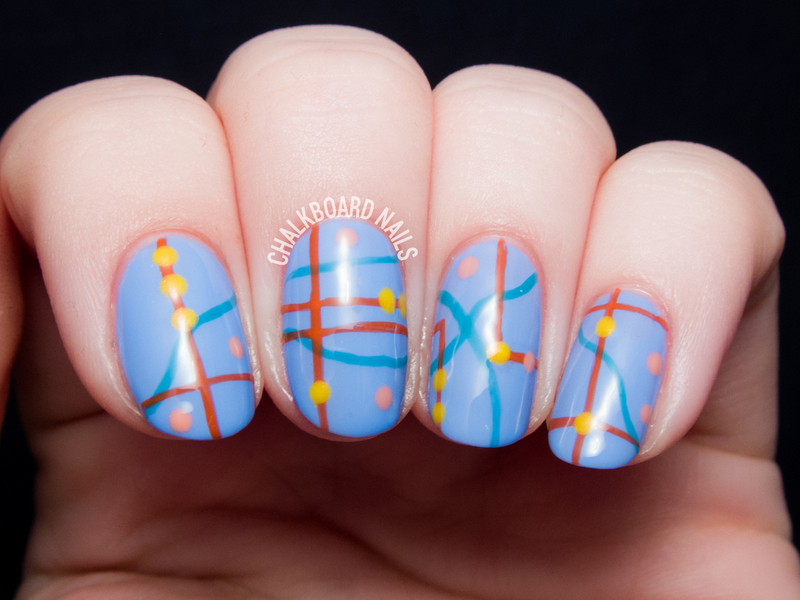 The China Glaze Road Trip collection celebrates that wanderlust, those adventures, with twelve boho chic shades. 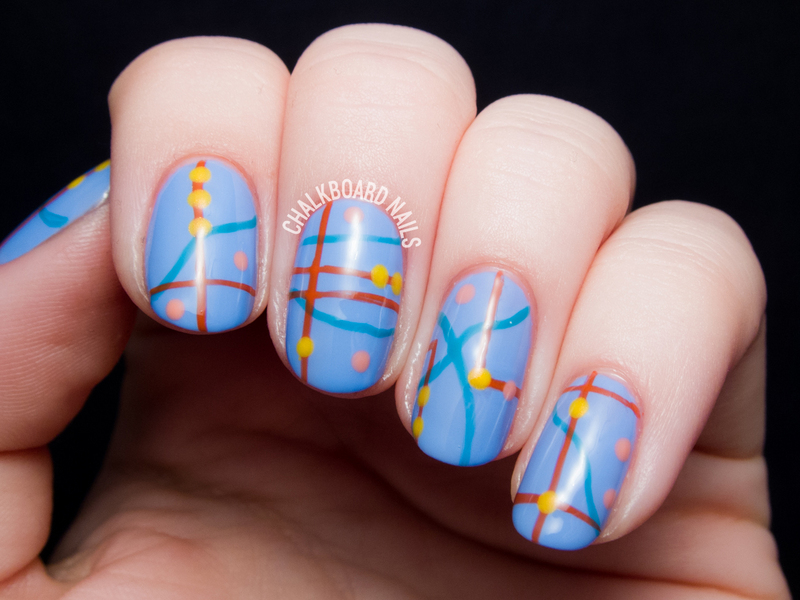 In the spirit of the road trip, I used five of them to create some abstracted road map nail art. I used Boho Blues as the base, cause it's my favorite shade in the collection. How great is that cornflower blue? This is two coats of it. Then I painted (and dotted!) on some loose road map details with the other four shades. I'm actually super happy with the way that this look turned out; it's not too literal but not too ambiguous. Maybe if I'd been wearing this when my AC died I wouldn't have been so crabby! Here's a fun fact about this collection: it makes up a big part of the set of polishes that I use in nail school with clients! Boho Blues has been huge for pedicures while Pinking Out the Window is a popular manicure choice. Have you picked up any of the shades in this collection yet? The China Glaze Road Trip collection is available now at beauty supply stores like Sally Beauty and Ulta. That's interesting! Reminds me just of a road map too. This is so perfect...Fresh,unique,interesting and ofcourse eye catchy. Love it. 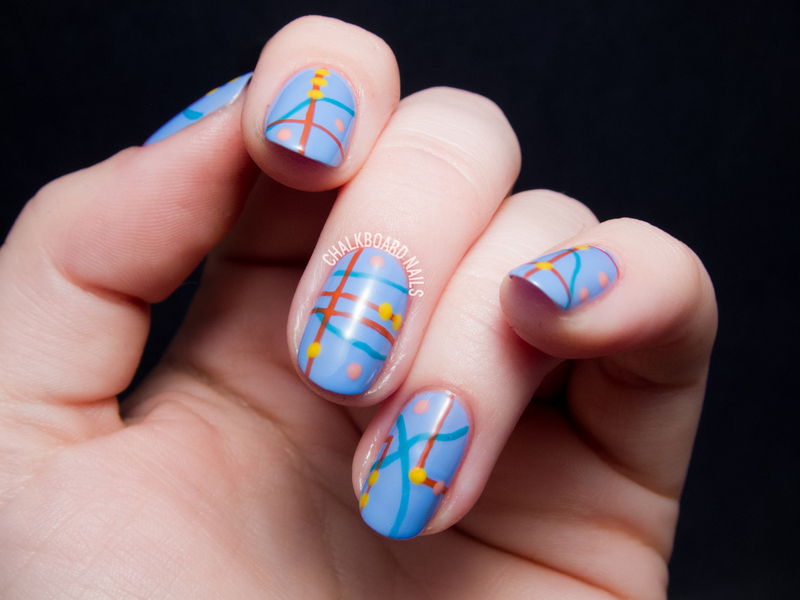 Gorgeous abstract design! Love it! Such a creative, abstract design! No air conditioning. Just kill me. Great set! Wow. That's super creative!! Love!